Too Many Murders - RNIB - Supporting Blind and Partially Sighted People. The year is 1967 and the world teeters on the brink of nuclear holocaust as the Cold War goes relentlessly on. On a beautiful spring day in the little city of Holloman, Connecticut, chief of detectives Carmine Delmonico walks into the prestigious Chubb University halls to be greeted by a limp corpse clamped in a bear trap, all traces of life drained from it. And this is just the beginning. 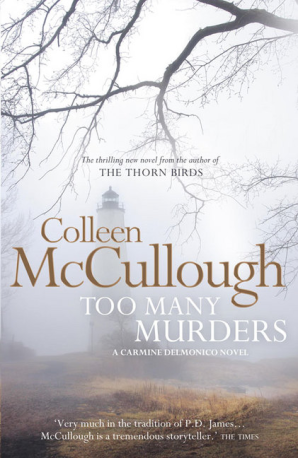 Twelve murders have taken place in one day and suddenly Carmine has more pressing matters on his hands than finding a name for his newborn son. Supported by his detective sergeants, and new team member the meticulous Delia Carstairs Delmonico embarks on what look likes an unsolvable mystery. All the murders are different. Are they dealing with one killer or many?